The Dotty Hippo Blog: Two new additions to the family! 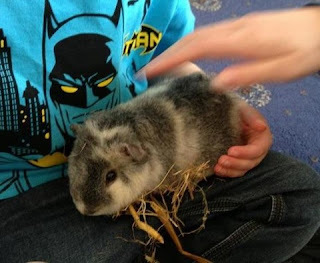 We really missed having little pets running around in the garden so we were secretly pleased when our children asked if we could have guinea pigs again. Here are our 2 new additions - Batman and Robin. Robin, at the top, is very quiet and happy to just sit and be stroked - Batman is going to be much more trouble! The only thing that made us hesitate was the usual issue of what to do with them when we are away. 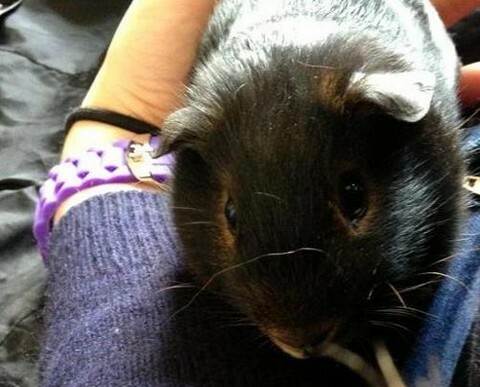 So we were delighted to hear that our local pet shop - Atlantis Pets - in Northallerton offers a pet sitting service for small pets for only a little over a £1 a night - what a great idea!